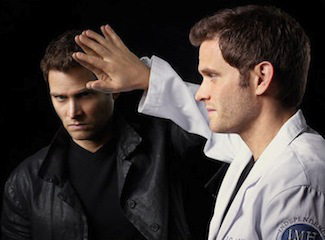 NBC’s mid-season series, the Jekyll and Hyde themed Do No Harm, came and went so quickly that the ten people who tuned in for this one and got attached to it must have been left saying “Wha happened? !” And what happened is that the network just flat did not give this one a chance. The show debuted on Thursday, January31st in the 10 PM EST hour pulling only a 0.9 rating in the 18-49 demographic and 3.1 million total viewers. That was the lowest in-season premiere ever for a scripted series on the Big Four broadcast networks. And then it dropped even further the next week to only a 0.7 rating and 2.2 million total viewers, numbers barely acceptable to the fifth place network The CW. So obviously this one was a ratings turkey which surely meant it wasn’t a very good show and it made sense for the network to yank it, right? I watched the first episode and while it wasn’t a ground-breaking show or anything to jump up and down about, it showed some potential. I’d take it over ABC’s horrid “sci fi” sitcom The Neighbors any day of the week (please cancel The Neighbors, please cancel The Neighbors . . .). In fact, I found it more interesting than some other recent genre entries that are still on the air like Syfy’s Being Human, ABC’s Once Upon A Time (though I did like that one early on), and NBC’s Revolution. Do No Harm had some potential to grow into a decent series that could have explored some interesting moral conflicts related to duality of human nature (though the fact that it aired on the broadcast networks would most likely temper how far they would go with that). However, NBC yanked the show before it ever had a chance. In fact, they stacked the odds against it going in. Do No Harm was scheduled in the Thursday 10 PM EST hour which the network has struggled with the last few years (last year’s genre entry Awake died a slow death in that slot at mid-season). And NBC’s Thursday comedy block has been waning this year, offering Do No Harm only a tepid lead-in that didn’t really share much in audience appeal. The network execs had to understand that and should have tempered expectations. The fact that the show tanked with its debut should have come as no surprise and I’d say that NBC’s decision to axe it after two episodes was too much of a knee-jerk reaction. If it failed in that slot, try moving it to a different time. It would make a good companion show to that network’s Grimm which has performed quite well of Friday nights. Reschedule it to pair up with that one which appeals to a similar audience. But to just give it the boot after two episodes seems like bad business. Let’s do the math on this one: this series had an order of the pilot episode plus eleven additional installments (cut back from the original twelve). Let’s figure a rough estimate of a cost of $4 million to produce the pilot and $2 million for each additional episode. Let’s assume they completed production of all twelve of those episodes, which I believe they would have because this one was a lock on the mid-season schedule since the beginning of the current season. That’s $26 million they sunk on this, and yet they just gave up on it after only two episodes which performed poorly in a known bad timeslot. And we wonder why the broadcast networks are struggling these days? 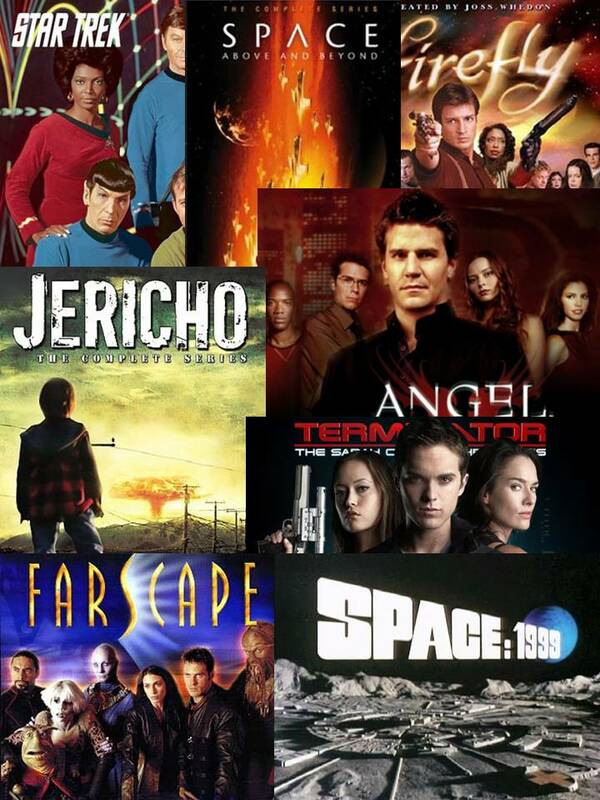 The show did have several factors working against apart from its poor scheduling such as the lack of star power, a lack of audience awareness, strong timeslot competition from CBS and ABC (more on that at this link), but other shows have started out weak and then built into major genre contenders (need I mention Star Trek: The Next Generation?). I didn’t think Do No Harm was a particularly great show, but I would have continued to watch it for a few more episodes at least. Now, myself and other genre fans don’t have that option. Can it be saved? It didn’t have enough time build a following, so I’d say almost assuredly no. They may end up burning off the episodes in Summer, but chances are that those won’t garner much in the way of viewership. Or they may air the rest of episodes online. But in any case, the network stacked the odds against this one from the get go then gave up on it way too soon. So don’t come complaining to us that people aren’t watching your shows when you don’t even give them a chance. Hey, I love The Neighbors! Just because you don’t watch it, don’t be a hater 🙂 I also love Being Human (both versions). Revolution is okay… I liked Terra Nova better.